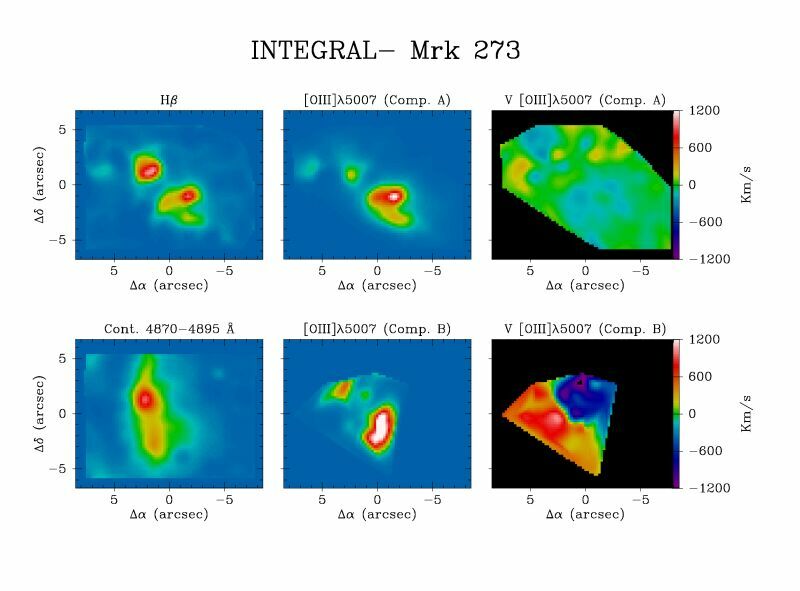 Integral-field spectroscopy (IFS) has merited much attention in recent years due to its advantages with respect to classical sequential 2-D spectroscopic techniques (e.g., long-slit scans, Fabry-Perot) when studying relatively small extended objects. IFS is able to simultaneously obtain a spectrum for each spatial sample of a two-dimensional field. Most of the advantages of the IFS technique are direct consequences of the simultaneity when recording spatial and spectral information. Indeed, there is no need to worry about the differential atmospheric refraction, nor to adapt the slit width (spectral resolution) to the seeing conditions. The configuration of IFS makes unnecessary an accurate centering of the slit. The simultaneity does not only imply a more efficient way to observe but, more importantly, it guarantees a great homogeneity in the data. Several implementations of the IFS technique have been developed, based in the use of fibres, microlenses, micro-mirrors, or mixed solutions. Early implementations of fibre projects at the Roque de los Muchachos Observatory were led by Peter Gray more than a decade ago. During all this time, the WHT has played an important role in the development of the IFS. Several fibre IFS instruments have been built (HEXAFLEX, Arribas et al., 1991; 2D-FIS, García et al., 1994, and now INTEGRAL, Arribas et al., 1998a). More recently SAURON (de Zeeuw et al., 2000), which is based on the microlenses approach has also been successfully used at the WHT. Future projects include TEIFU and OASIS, which combine the advantages of IFS and AO. INTEGRAL is used in combination with the WYFFOS spectrograph (Bingham et al., 1994), and it is mounted in the Nasmyth 1 platform (GHRIL) of the WHT (see Figure 1). In the standard configuration three fibre bundles (see Figure 2 for their main characteristics) are simultaneously connected at the entrance pseudoslit of the WYFFOS spectrograph. 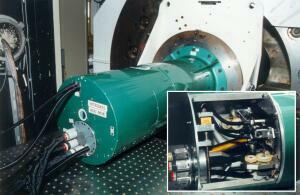 The bundles can be easily interchanged at the focal plane, with an overhead of a few seconds. Hence, depending on the prevailing seeing conditions and/or spatial requirements, the instrument can be easily optimised for the scientific program. The bundles can also be oriented to the desired sky position angle. For any particular grating the spectral resolution depends on the fibre bundle. This is a direct consequence of the different sizes of the fibres. Table 1 lists the mean spectral resolution and linear dispersions for different gratings and bundles. Due to the fact that the fibre bundles are directly connected to the focal plane without the need of pre-optics (optical derotator, focal enlarger/ reducer, etc), INTEGRAL + WYFFOS is relatively efficient (1 count/s/Å for a 15 mag object at = 5000 Å). 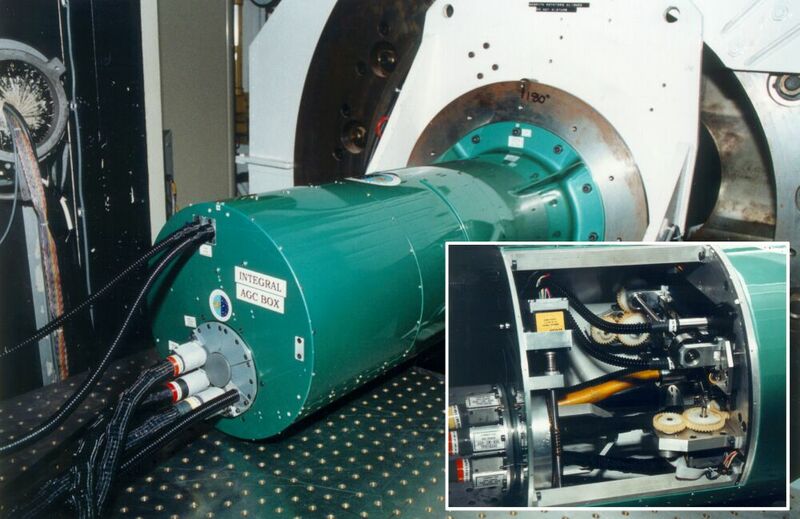 The focal ratio degradation (FRD) produced by the fibres is used to convert the f/11 input from the telescope to the f/8 of the WYFFOS collimator. As WYFFOS is a very suitable instrument, overheads are minimal. More details on the instrument are found in Arribas et al. (1998a,b). – Gravitational lenses (Mediavilla et al., 1998) (Figure 3). – Detection of faint companions (Arribas et al., 1998b) (Figure 4). 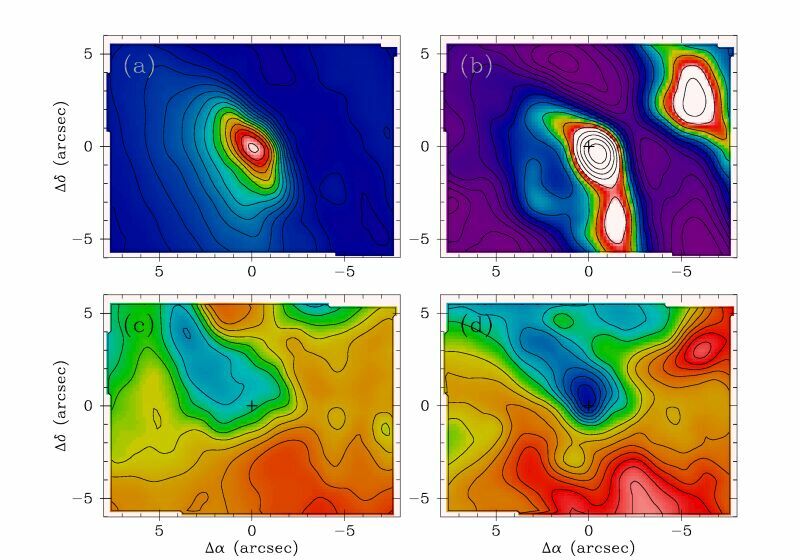 – The study of the circumnuclear region of ultraluminous infrared galaxies (Colina et al., 1999) (Figure 5). – Structure and dynamics of blue compact dwarf galaxies (García-Lorenzo et al., 2000) (Figure 6). – The study of the circumnuclear region of active galaxies (García-Lorenzo et al., 1999) (Figure 7). – The inner regions of M31 (del Burgo et al., 2000). 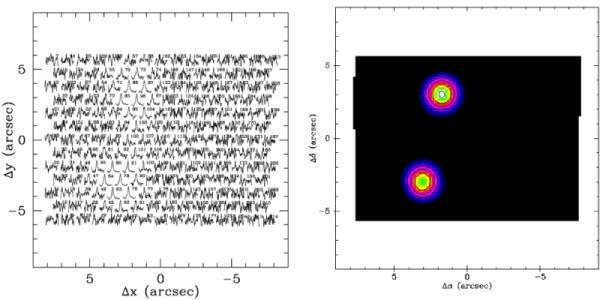 – X-ray sources in the core of globular clusters (Charles et al., 2000). – The kinematics of shells in galaxies (Balcells et al., 2000). What we show here is just a sample of a larger list of projects using INTEGRAL. Arribas, S., Mediavilla, E., Fuensalida, J. J., 1998b, ApJL, 505, 43. Arribas, S., et al., 1998a, SPIE Proc., 3355, 821. Arribas, S., et al., 1991, ApJ, 369, 260. Balcells, M. et al., 2000, ApJ, in press. Bingham, R. G., Gellatly, D. W., Jenkins, C. R., & Worswick, S. P., 1994, SPIE Proc., 2198, 56. Charles, P. A. et al., 2000, in preparation. Colina, L., Arribas, S., & Borne, K. D., 1999, ApJ, 527, L13. del Burgo, C., Mediavilla, E., & Arribas, S., 2000, ApJ, in press. García, A., Rasilla, J. L., Arribas, S., & Mediavilla, E., 1994, SPIE Proc., 2198, 75. García-Lorenzo, B., Arribas, S., & Mediavilla, M., 2000, in Proceedings of "Imaging the Universe in Three Dimensions: Astrophysics With Advanced Multi-Wavelength Imaging Devices", in ASP Conf. Series, 195, 325. García-Lorenzo, B., Cairós, L. M., Caon, N., & Vílchez, J., 2000, in Proceedings of "The Evolution of Galaxies I. Observational Clues", to be published in ASP Conf. Series. Mediavilla et al., 1998, ApJL, 503, 27.
de Zeeuw, P. T. et al., 2000, ING Newsletter, 2, 11.